We see the gorgeous jungle landscapes where pirates are doing their treasure hunting and burying. There’s a scene with shark fighting that I’m sure grabbed some inspiration from Far Cry 3. Let’s not forget the naval battles, while not prevalent in the trailer, will still make up a good portion of the game. You’ll also see the pre-order bonuses such as a new single-player mission and a new ship. 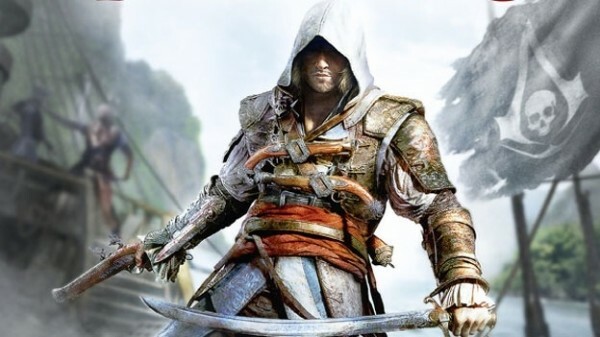 Assassin’s Creed IV is the next numbered installment in the series after last year’s third entry. It’s expected to release this fall on October 29 for PS3, Xbox 360, PC and Wii U. It’ll be coming to next-gen consoles such as the PS4 at a later date. Let us know what copy you’ll be picking up in the comments below or post in our forums.